Can we just take a moment to throw some respect at Crime After Crime for calling dibs on such a delightful movie title? 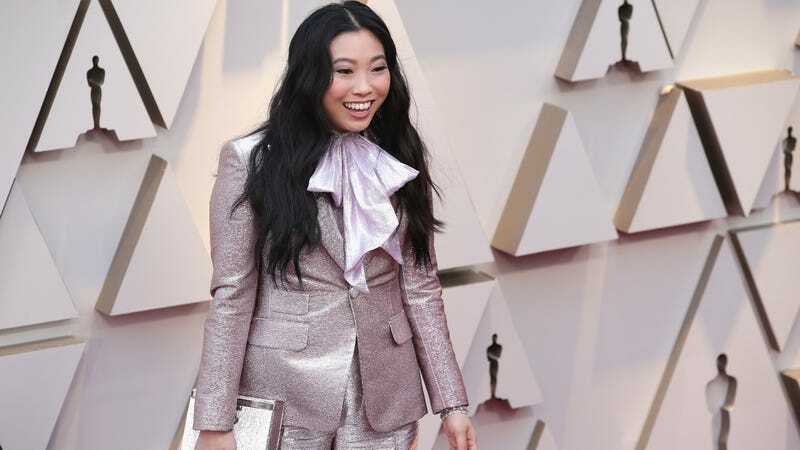 Now that we’ve gotten that very important piece of business out of the way, we can move on to real reason why you’re all here today: Deadline reports that Awkwafina and Ike Barinholtz have signed on to produce and star in Crime After Crime, an exceptionally timely dark comedy about the world of true crime podcasting. Start placing your bets on cameos now–my money’s on the My Favorite Murder ladies, but this movie could become an instant comedy masterpiece if it lands Paul Holes, the man who caught the Golden State Killer. In the upcoming comedy from STXfilms, Awkwafina will play a true crime podcast host (in my wildest dreams) who has dedicated an entire series to an incarcerated convict played by Ike Barinholtz. After he escapes from prison, the alleged convict shows up on the podcaster’s doorstep asking her for help in clearing his name. It’s unclear which side of the guilty/innocent debate Awkwafina’s character is on, but shenanigans will almost definitely ensue when this hilarious pair teams up. Aside from a, uh, killer title, little else is known about Crime After Crime, including whether or not STX will do the right thing and release a fictional true crime tie-in podcast hosted by Awkwafina.